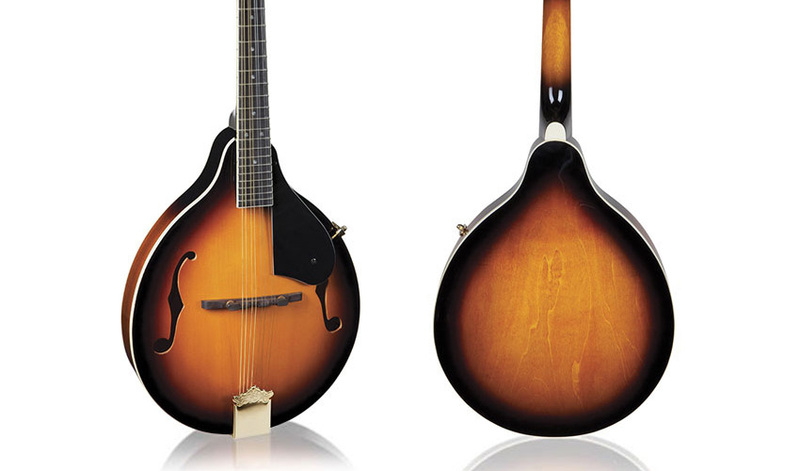 This gorgeous Mitchell AM100VS mandolin offers premium features like a solid spruce top, gold hardware, and real abalone position markers. 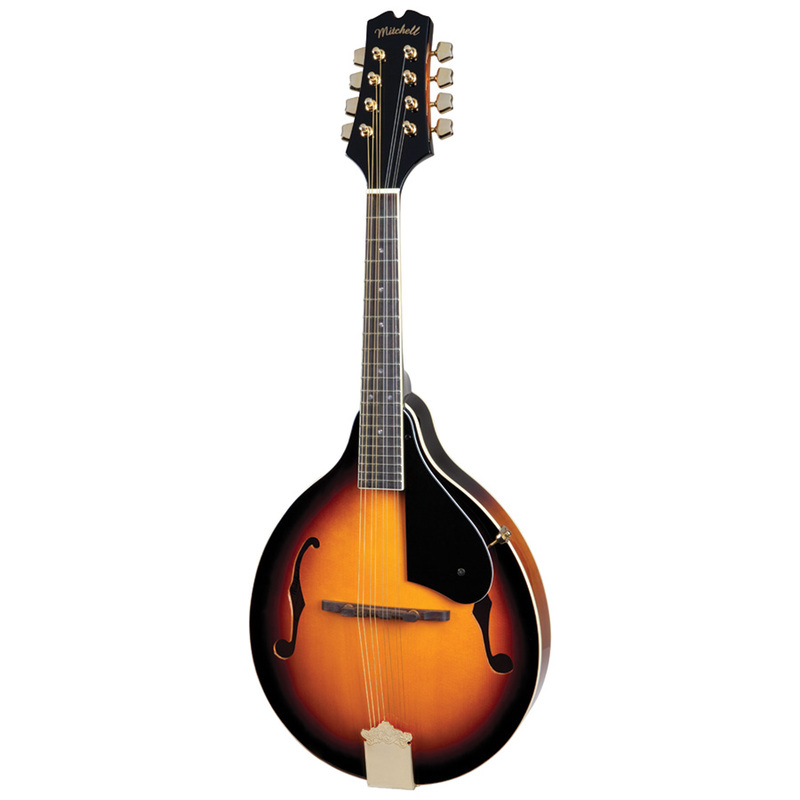 The classic sunburst finish, combined with body and neck binding, accent this beautifully crafted instrument. 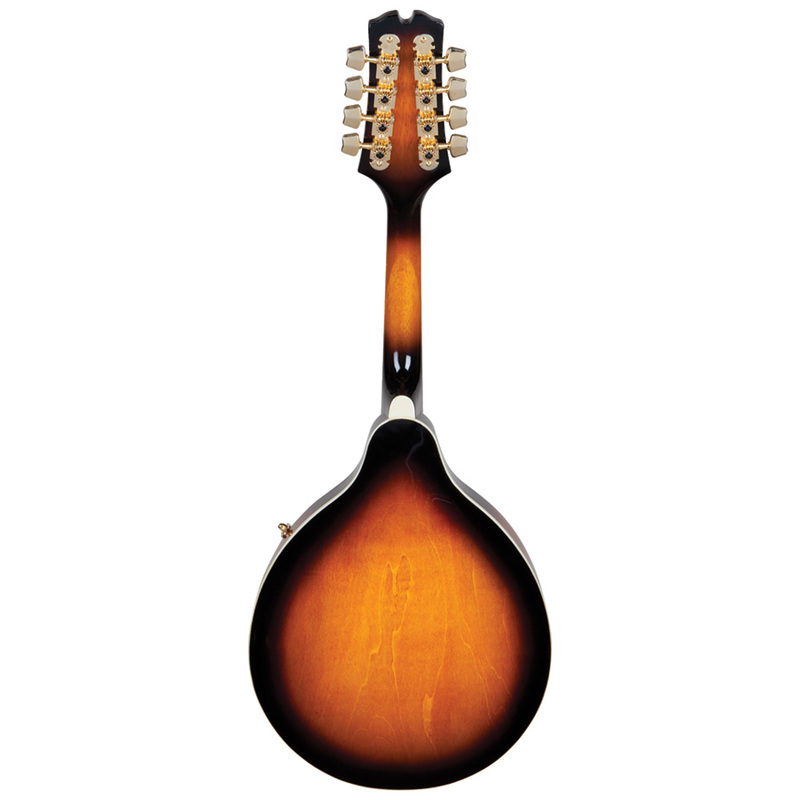 The A-style body design has a fuller and more pronounced tone than traditional F-style mandolins, to sound great chopping bluegrass rhythms and melodic leads. 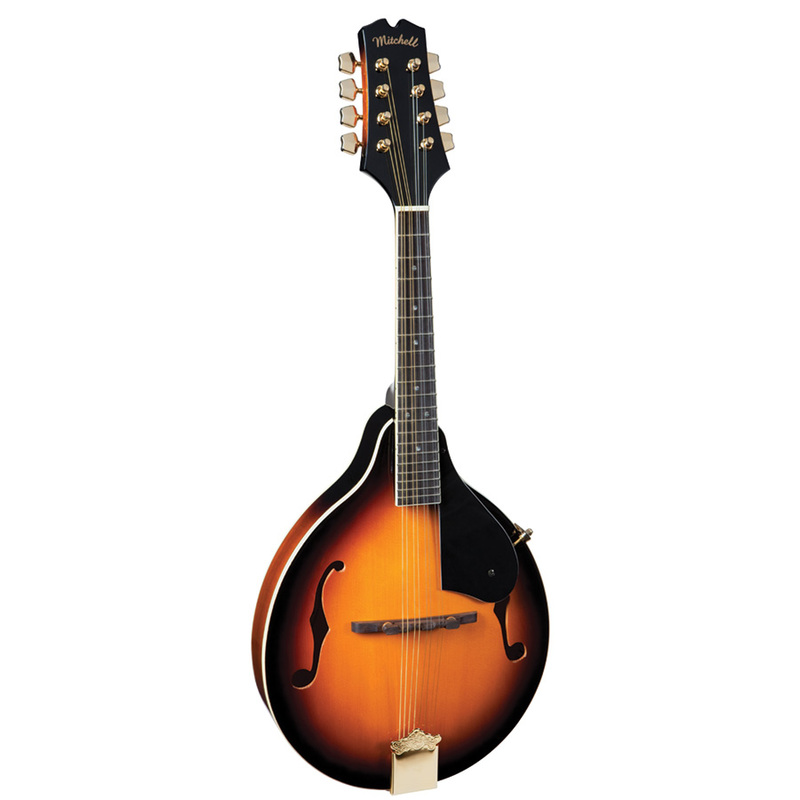 The 14″ scale, 20 frets, and easy action makes for smooth and intricate fret movements; and the mandolin’s bridge and fretboard produce clarity and plenty of sustain.